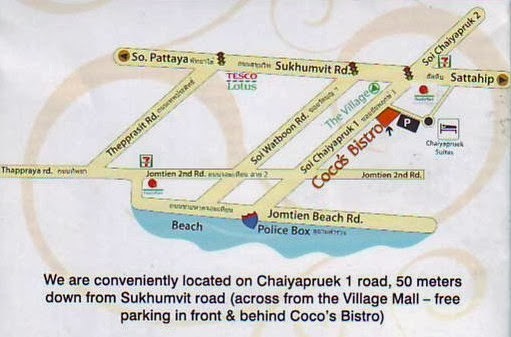 While not located in the Jomtien Complex area, the recently opened Coco's Bistro is well worth the trip down to Soi Chaiyapreuk (along side the Village Shopping Enter and in front of Chaiyapruek Suites Hotel). Air conditioned or outdoor dining. Lots of free parking. Open for breakfast, lunch, dinner and snacks at anytime.